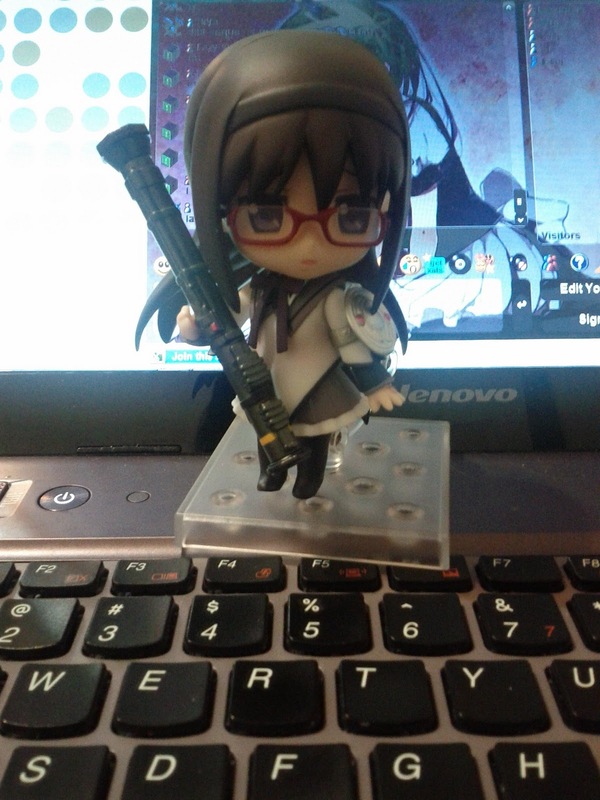 So my love for Homura has blossomed into buying my first nendoroid, Homura-chan! Damn the hands being correct and forcing me to only hold 1weapon at a time. I think she looks better with the glasses but not the twin tails. It looks more like she is hugging the bazooka then the image looks D: I am a horrible photographer. Couldn't recreate the gun in both hands moemura scene pose either, damn those short hands! Hopefully this won't be the mark of a very very very slippery slope that makes my wallet cry. I am already eyeing that Sena (Boku Tomodachi) one since it comes with a couch. The newest Miku one taht comes with her hiding in a box is amazing too. Probably the only types of figure I will buy are nendoroid since I love the chibi style. Damn my disposable income!